An outdoor ottoman is the perfect addition to your outdoor space. The South Beach ottoman can be coordinated with any set in the collection. Featuring quick dry foad with is upholstered with water resistant, Sunbrella fabric. Tap into the magic of summer with the ALLiBERT California Armchair with cushions. The rounded resin wicker couch is comfortable, stylish, and functional for relaxing around the pool, on the deck, in the sunroom, or on the dock this summer. Manufactured in the Netherlands, ALLiBERT designs easy-going furniture for easy-going people. The attractive 6mm round wicker California Armchair has a luxurious look and feel. The resin is charcoal in colour with cool grey cushions, and the chairs are easily assembled without tools. It can be combined with additional ALLiBERT furniture (California 3-Seater Couch, California Table, and California Loveseat) to make for a beautiful outdoor oasis. Captiva Furniture was designed to accomplish two things; help displace the millions of bottle caps found in our landfills and oceans, and create a high quality product with unbeatable value. Put your feet up for ultimate comfort while relaxing in our Adirondack chair. Hampton Bays White Rock Padded Sling Lounger offers comfort and versatility to enhance any pool or patio space. The Padded Sling Lounger has a durable powder-coated steel frame with an adjustable, easy to clean padded sling bed. And positioning this lounger has been simplified with the hidden integrated wheels. This gliding bench is the ideal addition to your patio set. It is made of high quality aluminum as well as a polyester/PVC fabric combination to help retain its shape and color. The distinctive Bahia glider has an easy glide mechanism. Enjoy many scintillating sunsets while gliding in this beautiful rocker for years to come. 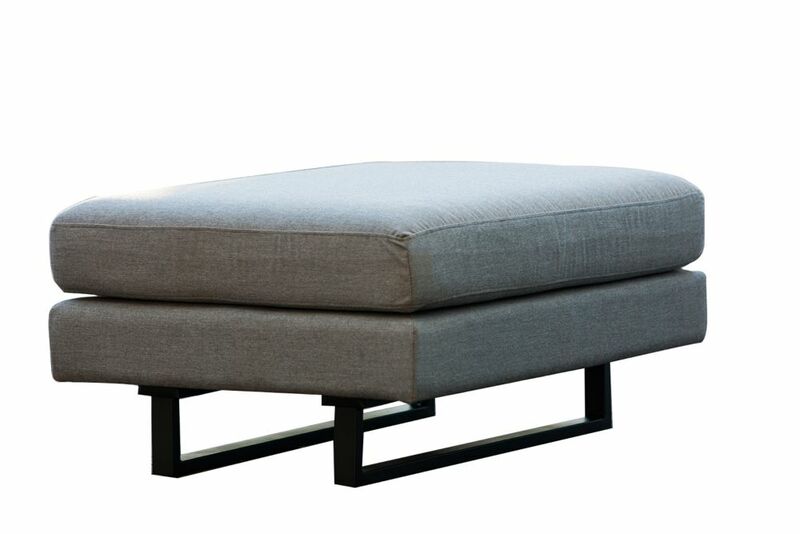 South Beach Ottoman An outdoor ottoman is the perfect addition to your outdoor space. The South Beach ottoman can be coordinated with any set in the collection. Featuring quick dry foad with is upholstered with water resistant, Sunbrella fabric.